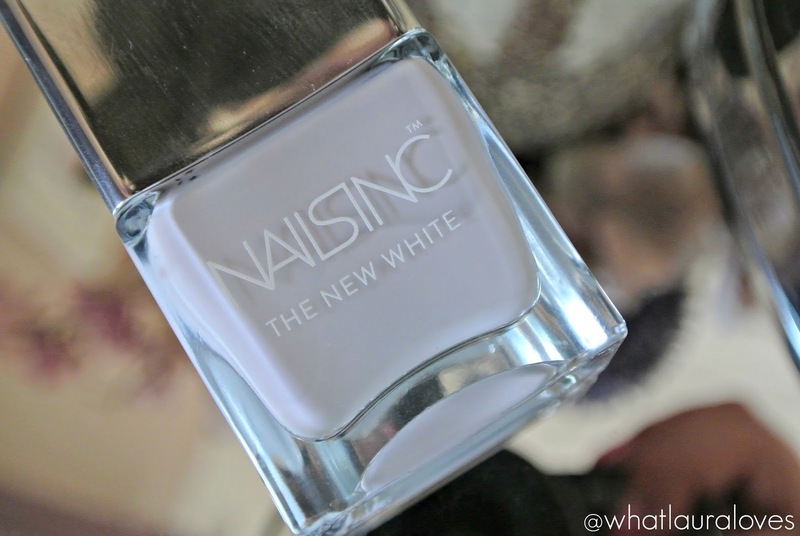 Earlier this year, Nails Inc launched their new nail polish collection called The New White. 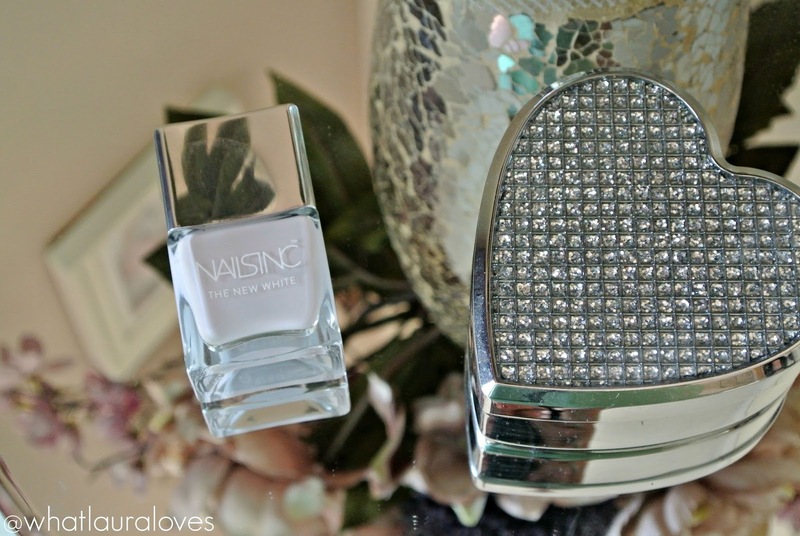 This line features 4 new nail polish shades which are all a new take on wearing white on your nails. As you’re painting it on your nails, it looks as though you’re simply painting your nails white but as it dries, it leaves a subtle hint of colour. These new polishes are enriched with Porcelain Flower Extract which is a rare white flower, originating from Thailand, that has recognised healing, therapeutic, illuminating and calming properties. The polishes are designed to improve the strength and health of the nails too. 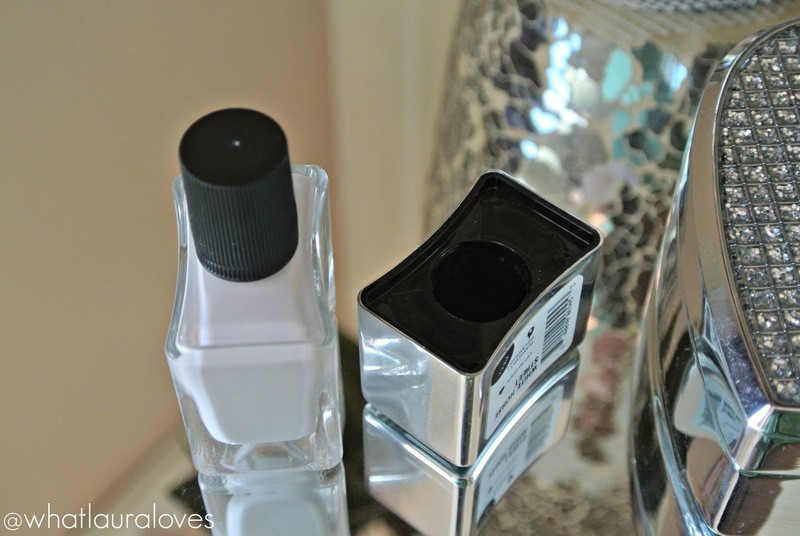 The polish that I have from the collection is White Horse Street which is a soft, smokey grey take on a white polish. The grey hue almost has a lilac tone to it, like a far more subtle version of the Models Own Utopia nail polish that I reviewed here. The effect is subtle, feminine and very very pretty. While this line came out in the spring and admittedly, this shade and the others in the collection are perfect for spring, I also think that this shade would be ideal for the winter months. When the cold weather hits, I like to wear a lot of black and, more recently, grey and then add accents of pastels, particularly light greys and lilacs. White Horse Street is a really wearable shade and I love how amazing it looks with a tan too as it really stands out. White Horse Street applies incredibly well. It needs two coats in order to be fully opaque but it doesn’t look streaky or uneven at all. I was very surprised at this as usually pale, pastel style shades are very difficult to apply but the formula of this polish is fabulous, so smooth and effortless to apply. Nails Inc aren’t the quickest polishes out there for drying time but they’re certainly not the slowest either. I tend to paint all of my fingers, wait a couple of minutes or so and then apply the next coat before adding a quick coat of my favourite top coat. When I paint my nails in this routine, I get a good 5 days out of them before needing to reapply. 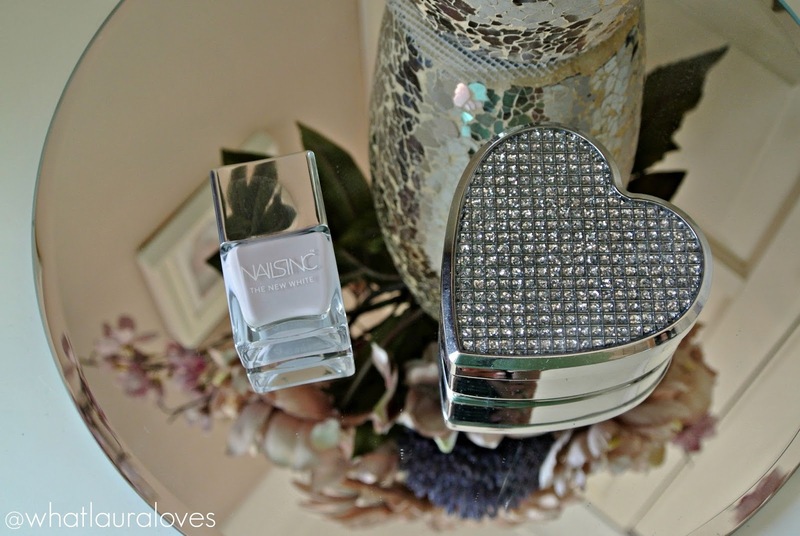 The combination of the Nails Inc polish and the top coat is an absolute dream! plus the packaging is fabulous. So easy to use and hold but my favourite thing is the brush. It is wide and curved which enables you to get the most brilliant coat of polish on your nails. 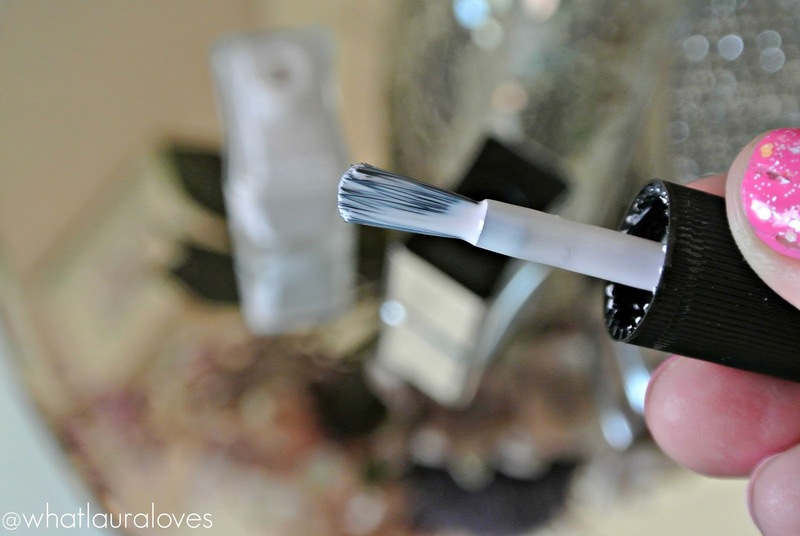 Literally the best shaped brush out there! 10/10 Nails Inc! I’d highly recommend the Nails Inc White Horse Street nail polish* and polishes from Nails Inc in general. I really feel as though they’ve upped their game over the last year or so and they’re very quickly becoming one of my favourite nail polish brands. 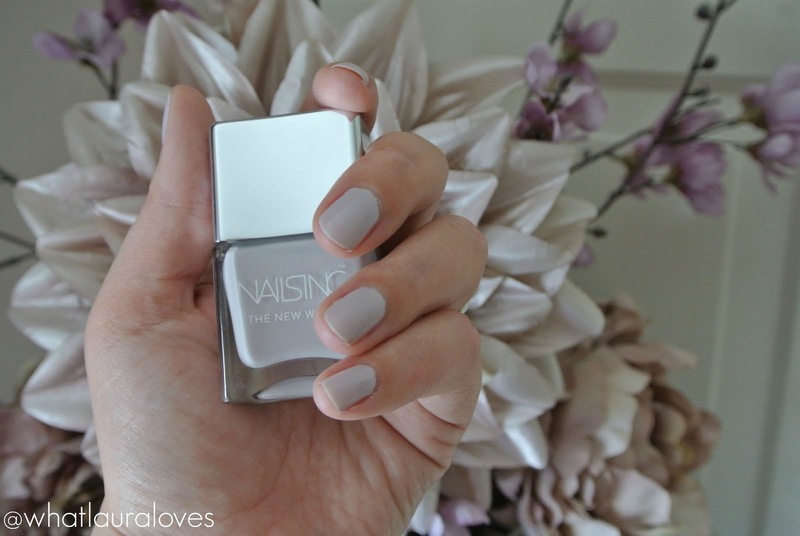 Which is your favourite shade from the Nails Inc The New White Collection? This is so pretty! I love how subtle it is, and I agree I'd wear it all year round! I loved that color! Beautiful clicks hun. LOVE THIS COLOUR. this is essentially my ideal colour. obsessed.